The main event segment of this week’s episode of SmackDown Live saw the return of the Boss Vince McMahon, who as we noted before was there to announce the Biggest Acquisition in the show’s history. This acquisition turned out to be Elias who Mr. McMahon called the future of the company. However, the former NXT Star’s moment didn’t last very long and he was interrupted by Roman Reigns. Reigns came to the ring and attacked Elias with the Superman Punch. The Boss then told Roman to leave the ring but he ended up receiving a Superman Punch from the Big Dog as well. 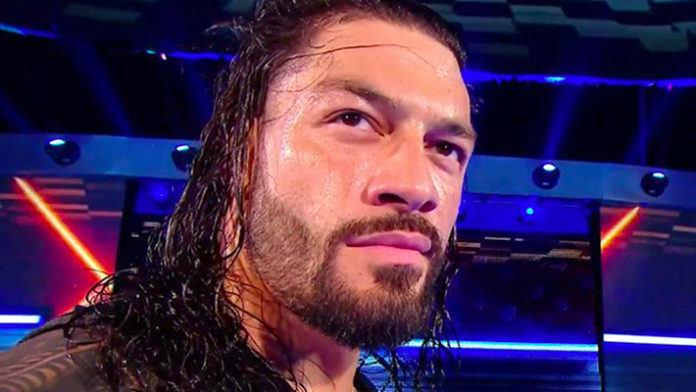 The segment ended with Roman Reigns standing tall and he commented on his attack on Vince McMahon in a backstage interview after the show went off air. In the interview as seen below, Reigns said that he has always been focused on Raw but he thinks that if you are going to move him to SmackDown, you have to do it in the biggest fashion possible. He also commented on his SmackDown move and the former World Champion said that it’s nice to just dive right back in the deep end and swim with the sharks. As this point, it’s unknown what WWE has planned for Reigns after his move to the Blue Brand. We should get an idea about his future on next week’s episode of the show.